At nearly halfway through the year I've been making good progress. I've been reviewing my goals everyday so that I keep them clear in my mind. It's Been A Year - Did You Miss Me? It's been a long time since I last posted. Nearly a year in fact. I just wanted to let everyone know that I'm sorry for the long period of absence and that I'm doing fine - I'm still on my path to financial independence! The truth is I realised some time ago that to hit my FIRE target of retiring by age 50, it was going to take some concerted effort - more than just saving as much as I could each month. I also got so fed up of working in an office that I couldn't bear the thought of having to continue doing that for the next 8 years or so. So I started looking for ways to supplement my income. I think I previously mentioned that I'd been getting into online publishing - this is where the majority of my time is now spent. I'm focused on launching books so that I can build up an income stream which will ultimately cover my annual expenses - therefore allowing me to step away from my freelancing work. Alongside this, I am continuing to save into my Freedom Kitty and into my Personal Pension, with the same targets as I previously discussed. I've been updating the progress bars in the sidebar from time to time even though I haven't been writing posts and I will continue to do so. I would say that this is feeling do-able. 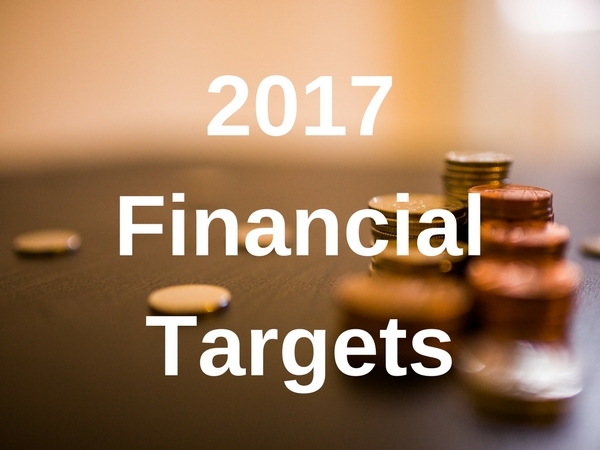 The Freedom Kitty savings target is harder than the Personal Pension target. I'm currently paying £1,000 per month into my Personal Pension so there's no problem there. I don't have regular payments set-up into my Freedom Kitty yet this financial year as I have not yet decided which stocks and shares ISA provider I will be using. However my intention is to max my ISA out this year which will be the equivalent of £1,666 per month which easily covers my goal amount. The only risk to my plan is that I have just started a year's sabbatical from working in IT so that I can concentrate on building up my publishing business. This means that I am living off the savings I have accrued in my business account for the next year. If I don't manage to build my publishing business up to the point that it covers all my expenses (including Freedom Kitty and Personal Pension savings), I may need to reduce how much I'm paying in, or *gulp* head back for another IT contract. I will be re-assessing where things stand in a year's time to see whether I need to return to IT, or if my publishing business has reached a point where it can sustain me. If I achieve my publishing income goal this will be a game changer because it will mean that I'll no longer feel the need to "retire" by age 50 as I will already be doing something that I enjoy with the freedom to choose when I work and where from. Ah June, such a wonderful month. 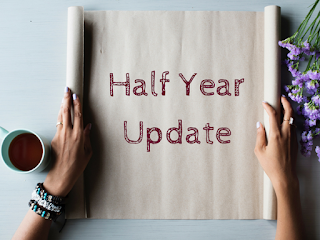 It sees the transition from spring to summer, the longest day of the year on the summer solstice, the beginning of many fetes, garden parties and barbecues, and of course it's half-way through the year which means time for a progress update! It was all about reviewing how I'd got on with my goals from 2016 and taking note of the lessons I'd learnt along the way. Then, with much enthusiasm and excitement, I set my goals for 2017. I was also working hard on preparing my second ebook ready for publishing: editing the manuscript, formatting it ready for kindle and paperback, and commissioning a book cover. Near the end of 2016 I joined a Mastermind Group to keep me accountable for my goals and to share knowledge. Throughout January I participated in weekly calls which really helped me to keep focus, and ensured that I had progress to report back each week. If you haven't participated in such a group before I would highly recommend finding one to join. On a social note, TheBF and I travelled to Wales for a weekend to visit friends and their baby twin girls who were about 8 months old, it was super to get to meet them for the first time. We were invited to a New Year's dinner party by friends, as well as 2 family games nights (such a fun way to spend winter nights), one of which we hosted. TheBF and I also decided to take advantage of the January sales and invest in a new super king size bed! We opted for a Tempur Cloud mattress from Bensons for Beds, however we failed to research the reviews about Bensons before we placed our order. Big mistake. All I will say is that a saga of failed deliveries, lack of customer service and many trips back to the store ensued. So come the end of January, we had received a bed frame but no mattress, with no delivery date in sight! Continuing the bed purchase story, after 3 failed attempts at delivering us our mattress and no commitment on a new delivery date, we decided to cut our losses and cancel the mattress order. We placed a new order with Dreams, who gave us a 2 week delivery slot, and delivered on time exactly when they said they would! I cannot recommend the Tempur mattresses enough, they are simply a delight to sleep on. I am extremely proud to say that I published my second book on both Kindle and as a paperback near the end of February. As part of publishing it I ran various promotions to kick-start sales, so that took up a reasonable amount of my time. As well as that I hosted a Ladies film night, planned a holiday with family to France for later in the year, helped my parents with emptying a property they are selling, went for a delightful dinner to Nailcote Hall and enjoyed a romantic dinner staying in with TheBF. The month began with a trip to Thurlstone in the Peak District for my second time attending a FIRE Escape meet-up. These are organised by Huw from Financially Free By Forty, where like minded individuals meet up to share ideas and generally geek out about all things to do with personal finance. It's a wonderful opportunity to meet lots of other people in the FIRE* community and I particularly enjoy the chance to put faces to some of the blogs that I read. I was very pleased to finally meet Weenie from Quietly Saving, whose blog I have really enjoyed following over the past year. Topics of conversation ranged from investing (including the more unusual investment options of whisky and trainers/sneakers! ), online publishing, matched betting, eBay reselling, blogging, vlogging and personal development. With my desire to pursue online publishing and to make a success of it, I was grateful for the opportunity to talk to other budding publishers, as well as Huw who is now so established at publishing he has been able to quit his regular job. I was very excited to come away from the weekend having agreed with one of the other attendees to start a weekly Kindle Mastermind call. In terms of progress with my publishing side hustle, March was mostly about promoting both of my 2 books and tracking how successful those promotions were. Socially there was plenty going on with a trip to see my niece's ballet show, a fun day out celebrating St. Patrick's Day, a trip to a gun range as part of a friend's birthday celebrations, helping on the telephones for Red Nose Day donations, enjoying a Sunday roast out with family for Mother's Day and holding a dinner party for a couple of friends in our newly fitted dining room. There were many exciting things happening in April for me, but the most outstanding of which was attending a Tony Robbins' event in London called Unleash The Power Within. I booked to attend when I saw tickets on offer during last year's black friday sales, not really knowing quite what to expect. This is truly a life changing experience. I simply cannot do justice in a few sentences to how great these 4 days are, or how much I have learnt, or even how many changes I have been able to apply to my life since attending. What I can say is that I am now determined to go to more Tony Robbins events, no matter where they are in the world, because it was totally worth every penny. 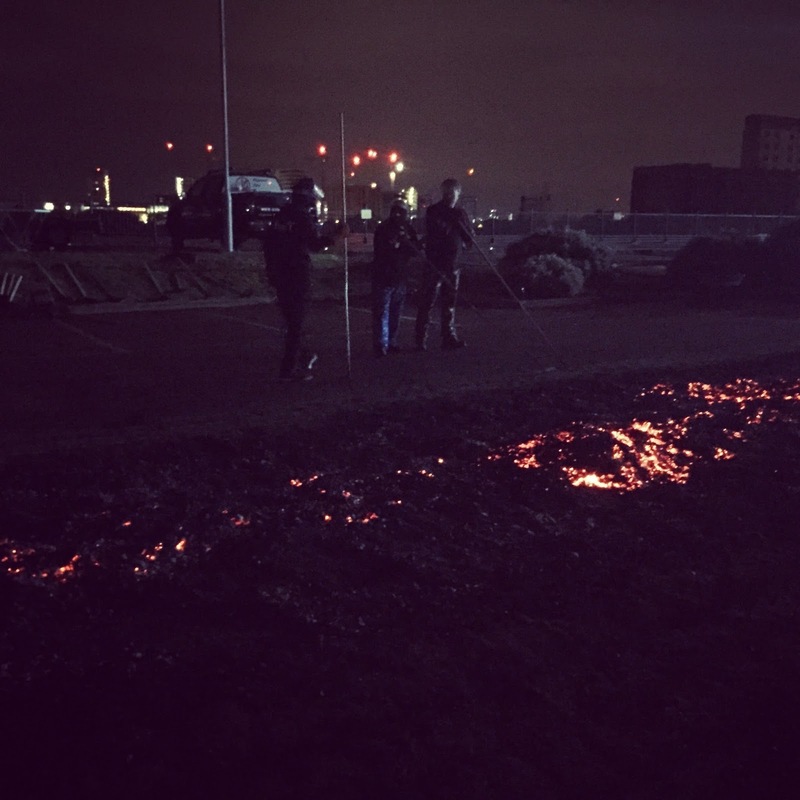 I should also add that as part of Unleash The Fire Within I became a fire walker! 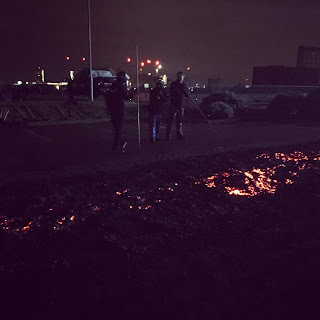 Yes you read that right, I walked across a bed of hot coals, and I didn't burn my feet one little bit. It's all part of the process of showing you how to conquer your fears, and proving to yourself just how much you can do if you put your mind to it. Socially we enjoyed spending wonderful time with family over Easter as well as a fantastic trip to the Kenilworth Cocktail Lounge followed by dinner at The Almanac in Kenilworth, and we also spent a weekend visiting various friends in Southampton where I used to live. Healthy eating and post-it notes would be the unusual tagline for May! Fresh from the Tony Robbins event which was at the end of April, I was all fired up to do the 10 day challenge which is about changing your eating and lifestyle habits to really maximise your energy and create a body which is primed to go out and achieve all the goals which you have set for yourself. I jumped into the challenge full on, with fantastic weight loss as a side benefit to feeling really alert and alive. I'm happy to say that I have continued with the majority of the healthy changes ever since. When you come away from something like Unleash The Power Within (UPW), there are so many ideas, thoughts and things to remember buzzing round your head, it can be a little challenging to know where to start at first. I decided to focus on re-reading my notes from the workbook from the event and writing up key points onto post-it notes which are now taking pride of place on our office wall! I also shared my experience with several people who were keen to hear of what it was like and all that I'd learnt. This was not only fun to do because it meant I could relive the event, it also helped seal many of the learnings in my mind. One of the things I made a decision about while I was at the event was that the time had come to leave my freelance work so that I can start working on my sideline businesses full time. Ironically forcing my sideline businesses out of the "side" income genre and making them my main income streams. I have set myself a goal of quitting freelancing by the end of 2017, and I will do this no matter what. 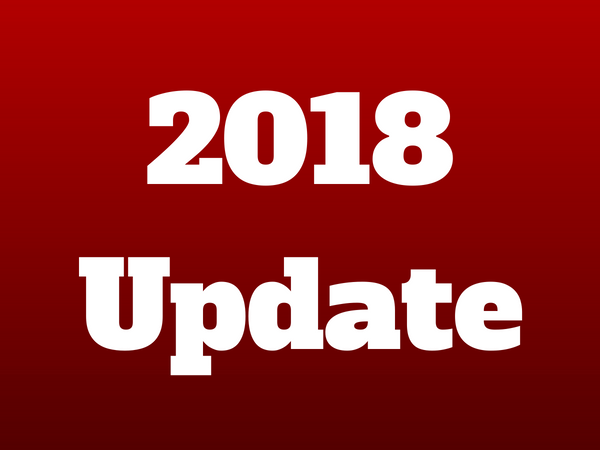 During May I started to take a look at what I'd been working on the past month or so, to assess where the money will come from, so that I can really focus on those money making ventures. My two weekly mastermind calls are still going strong, and these will help keep me accountable as I move toward my new giant goal. There was plenty going on socially in May with some family dinners, a ladies film night to attend, hosting afternoon tea for some family friends and of course our traditional sweepstake evening watching the Eurovision Song Contest final. Which brings us up to the present month. Business-wise, I've begun my transition from freelancer to online entrepreneur, by negotiating a new contract with my current client. I'm now working just 4 days a week as a freelance Scrum Master, and the fifth day each week I work from home on my own business ventures. I've now prioritised generating new books to publish as my first priority and this is what I'm spending my spare time working on. I have also started to turn my attention to opportunities for mentoring, training and coaching others. As an established Scrum Master I already have lots of experience at mentoring and training in Agile skills, so I am now starting to offer bespoke introductions to agile and scrum master training through the wonder of online video calls. I am also offering mentoring and accountability partnering in goal setting, life organisation skills and basic personal finance planning. I held my first Scrum Master mentoring sessions in June with great feedback. 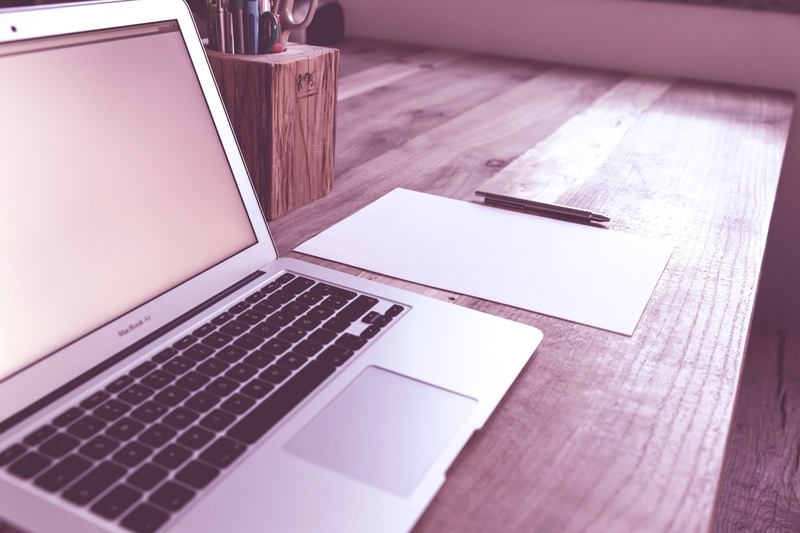 I have also been helping with CV reviews for aspiring project managers, to help give them the best chances of finding their first agile role. My weight loss goal is progressing nicely, fuelled by the healthy lifestyle changes I've made following UPW. The current heatwave has somewhat hindered my exercise regime since we don't have air conditioning at home and I simply couldn't bring myself to do my usual morning run on my rebounder (mini trampoline). I'm hoping to restart this next week. This month I've had the pleasure of helping out at my niece's 6th birthday party at the local bowling alley, a trip to see Shirley Valentine at The Belgrade Theatre with my Mum and Sister, a visit from a group of University friends where we all went to my niece's school fete, and a lovely barbecue in our garden for Father's Day. Coming up still in June, we have a trip to London to see Annie to look forward to, and spending time at my parents' as we celebrate my Mum's birthday. So that's my half-year summary. Hopefully you're still with me! I should probably add that during the first half of the year I have continued to add to my Personal Pension and Freedom Kitty, remaining reasonably on target for the financial goals I set myself. So far I've added £6,000 to the Personal Pension and £6,000 to my Freedom Kitty bringing their current values to £130,266 and £37,747 respectively. 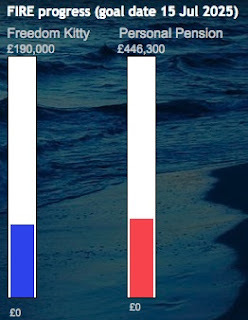 I'm really pleased with how both of these are growing, and at the moment my intention is to continue to pay £1,000 per month into each of these for the rest of the year. Once I stop freelancing I will have to reconsider how much I continue to invest while I build up my new businesses to a suitable income level. How is your year going? Are you on target for meeting your goals (if you set them)? Have you ever attended a Tony Robbins event, and if yes what did you think? As always I'd love to hear your thoughts in the comments below, I read all of them and am always really grateful for your interaction. Better Late Than Never - My 2017 Goals! 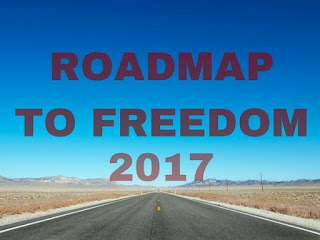 At the start of January I carried out an exercise to review the success/failures of my 2016 goals, and then carried forward my learnings for setting my new goals for 2017. I decided to stick with the same goal tracking process as I'd implemented in 2016 because I felt it had been so successful at getting me to actually TAKE ACTION and get stuff done. This is all about my entrepreneurial and FIRE related endeavours - my ultimate goal is to achieve freedom from working for someone else - so whether I achieve that through early retirement, funding myself through my own money making endeavours, or a combination of these two it goes under this category! 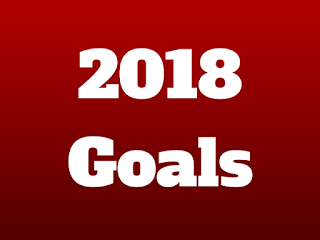 Next I spent some quiet time listing out everything which I ideally wanted to achieve this year, and these evolved into 30 goals (yes you read that right...30!). I wrote these up in a spreadsheet and for each of them added a column in which I listed how I would know that I had achieved the goal - so that I would know when I could say it was "DONE"! Since 30 is really too big a number to track and share, plus some of the goals are personal ones, I've opted to pick 10 good 'uns to share with you below. In each case I've listed underneath the goal how I know that I will have achieved it. Once I determined my 2017 goals, I have since been breaking them down into quarterly and monthly action plans so that every month, and indeed every week, I am focussed on working toward achieving them. My thinking is if I can do just one thing every day to get me a little bit closer to at least one of my goals, then over time I'm going to achieve them eventually. So that's all for now folks. In a future post I'll do a run-down of how I'm progressing with achieving these, and whether I'm on target to tick them all off by the end of the year. 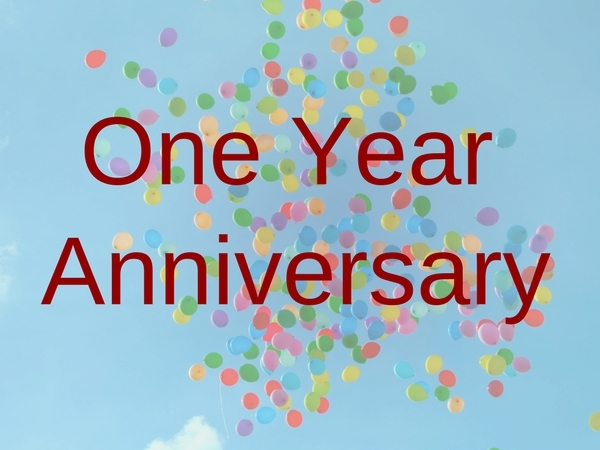 Just a very quick post today to acknowledge the fact that Organised Redhead has turned 1 year old! 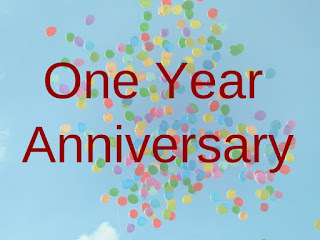 It was a year ago yesterday when I published my first post, and what a journey it's been. I had no idea when I started this adventure where it would lead me to. In the space of the year I have continued to grow my experience and confidence with blogging, as well as avidly following my fellow FIRE seekers' blogs and cheering them along the way. The most exciting part of the journey has been my discovery of ways in which I can earn extra income through activities such as Kindle publishing, affiliate marketing and matched betting. It's been a year of discovery, and I look forward to many more to come. I really appreciate it, and hope to share many more tales with you along my continuing journey. Last February I formulated my strategy for how to achieve retirement by the time I'm age 50. 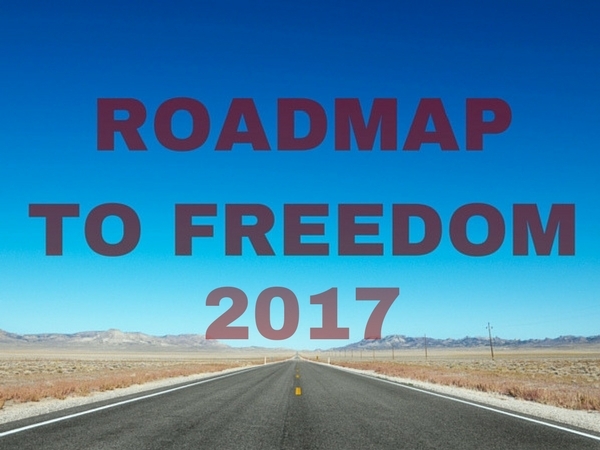 In my Roadmap to Freedom I set out the savings goals I would need to achieve on a monthly basis. I think it's important to revisit this Roadmap frequently to make sure that I'm still on target with my savings each month. This post is the result of my 2017 review. Although my 2017 pension target is £90 per month lower than the Roadmap suggests, it is hoped that the fund will grow by at least 5% per year. Furthermore, savings into my Freedom Kitty are planned to be approx. £480 per month higher than the Roadmap requires, any excess in my Freedom Kitty can be used to supplement my Personal Pension if it has not met the required amount by age 57. The reason for paying more into the Freedom Kitty is to maximise the new £20,000 ISA allowance in 2017/2018. I feel very confident in being able to achieve the Personal Pension target. The Freedom Kitty target will be more of a challenge, but I'm going to give it my absolute best shot. How did I get on with my 2016 goals? Looking back on 2016 and my aspirations to provide a monthly update on how I got on with my goals, things didn't quite go to plan! 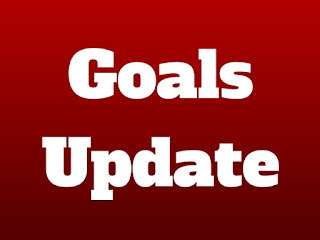 I knew it had been a while since I last posted but I didn't realise that my last goals update was for March. So here's an end of year review of how I got on with my goals for 2016. 3. Become a better person by the end of the year, than I was at the start of it. I ended the year at about 1lb below my start weight for the year! This is one of the hardest goals for me to achieve. It feels like my whole life I've been struggling with trying to attain my ideal weight (which for me is just to be a healthy weight). Sometimes I lack willpower and I genuinely think that some people are more biased to be overweight than others. That's not intended to be an excuse, but being overweight is something which runs in my Mum's side of the family. This is a goal which I fully intend to carry forward into 2017 to see if I can attack it once and for all. On the bright side, at least I can say that I didn't gain more weight in 2016. In fact we went on more than 12 dates, although not all of them were specifically arranged by me in the end, I think this still counts as a pass. This goal was a difficult one to assess the success of because some weeks I meditated every day, and other weeks I didn't manage 3 times. The main point however is that I did start meditating in 2016 and continue to do this consistently every week. 4: Use my unique personal skills and abilities to help others achieve happiness. This was another goal which was actually difficult to track whether it was achieved or not, because I hadn't really made it specific enough. Given that I started my blog, wrote about my FI plans, regularly read and commented on personal finance blogs throughout 2016 and I attended the March FIRE escape gathering, I feel that this was achieved. This was a success for me, I donated to the charities who I have regular giving set up for, as well as sponsoring several of my friends in their charity endeavours. So all in all I feel very happy with my progress in 2016. 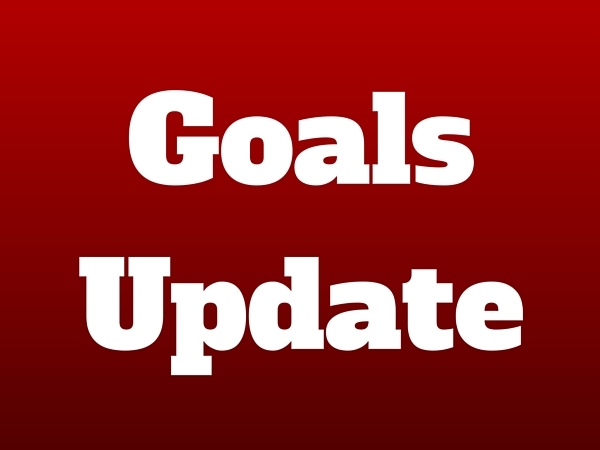 It's the first year in a long time that I have set a list of goals for myself, and it's definitely the first year ever where I have consistently tracked my progress toward achieving the goals. This for me is the biggest win of all. 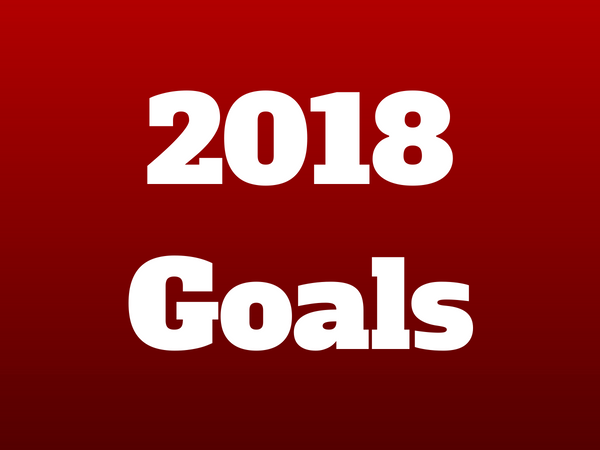 It has made such a big difference having goals to work toward (some of which felt unattainable when I set them) and being able to tick many off the list. 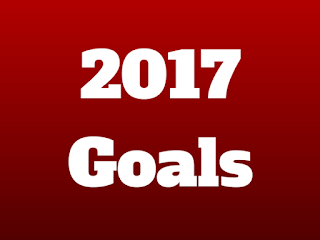 I am looking forward now to 2017 and achieving my new list of goals. You can find out about my 2017 goals in my next post...coming soon! How has 2016 for you? If you set yourself goals, did you achieve some or all of them? 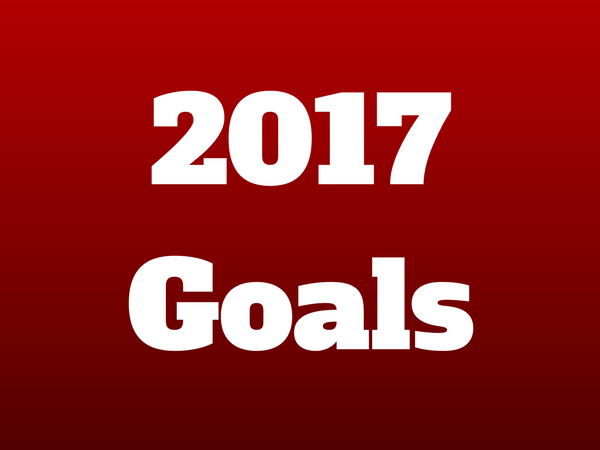 Have you set any goals for 2017? All the information on this website is published in good faith and for general information purpose only. organisedredhead.blogspot.co.uk does not make any warranties about the completeness, reliability and accuracy of this information. Any action you take upon the information you find on this website (http://organisedredhead.blogspot.co.uk), is strictly at your own risk. organisedredhead.blogspot.co.uk will not be liable for any losses and/or damages in connection with the use of this website. From this website, you can visit other websites by following hyperlinks to such external sites. While I strive to provide only quality links to useful and ethical websites, I have no control over the content and nature of these sites. These links to other websites do not imply a recommendation for all the content found on these sites. Site owners and content may change without notice and may occur before I have the opportunity to remove a link which may have gone 'bad'. Please be also aware that when you leave my website, other sites may have different privacy policies and terms which are beyond my control. Please be sure to check the Privacy Policies of these sites as well as their "Terms of Service" before engaging in any business or uploading any information. By using this website, you hereby consent to my disclaimer and agree to its terms. Should you choose to share any personal contact details with me, this personal information will not be shared or sold to anyone else. Organised Redhead is a participant in the Amazon EU Associates Programme, an affiliate advertising programme designed to provide a means for sites to earn advertising fees by advertising and linking to Amazon.co.uk. Copyright © 2016-2017 Organised Redhead. Travel theme. Theme images by konradlew. Powered by Blogger.